Hello all, I hope you are enjoying the Bank Holiday so far. As usual the weather has been gorgeous here all week and then immediately got dull as soon as the holiday starts! Ah well, more time for crafting. 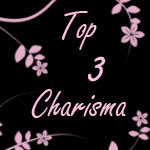 I've changed the layout of the blog and added the header to each post, I'd love to hear what you think of it. It's mainly down to my very patient and helpful (also very talented!) husband Simon who helps me out with tech issues and Photoshop. Today's card is still using the Strength and Hope set but is for an entry in the Less is more challenge. Their challenge this week was a layout one with the card divided up into squares. We had to pick a square on the card to put our embellishment. 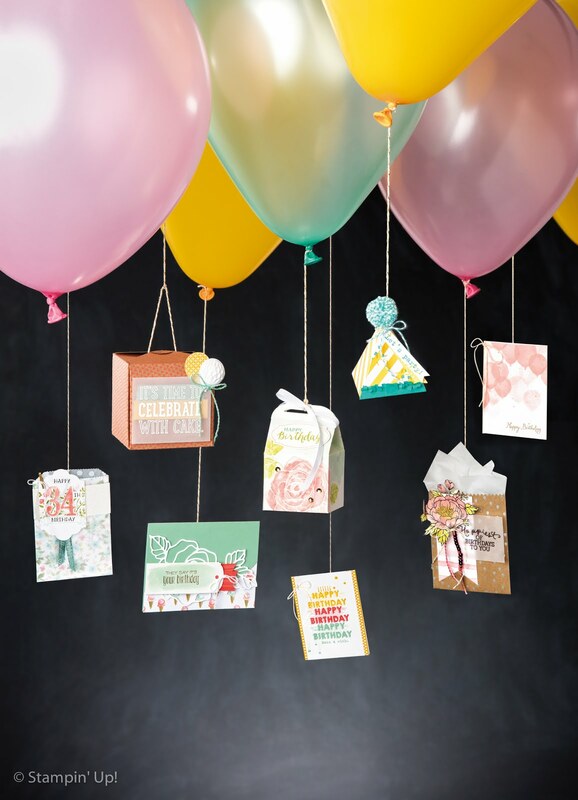 My cards have become more and more ornate as I get more confident playing with and matching colours, this has been thanks to Stampin' Up's wonderful matching products that make it so easy to pick coordinating or contrasting colours. It is really nice to get mack to my roots of simpler layouts with a lot of white space.It's my first time entering my cards in any kind of competition so I'm really nervous. As to the card, the butterfly from the Strength and Hope stamp set was stamped with versamark ink. This ink is fantastic for embossing with and here I put Heat &Stick powder and then heated it to make it sticky, you can see the colour change as you heat it. Once I had done this I shook Dazzling Diamonds glitter on it which stuck to the image and then heated it again to set it. This was done on the vellum paper. I have to say that I love this paper, I have made five cards with it so far and only used one sheet. The black square is 2 inches square and perforated using the perforating tool and guide to dress it up a bit. The grey I then cut to border the black ( I don't like measuring!). I finished off the butterfly with a line of basic rhinestones. The card itself is 5 inches square and made out of Whisper White A4. 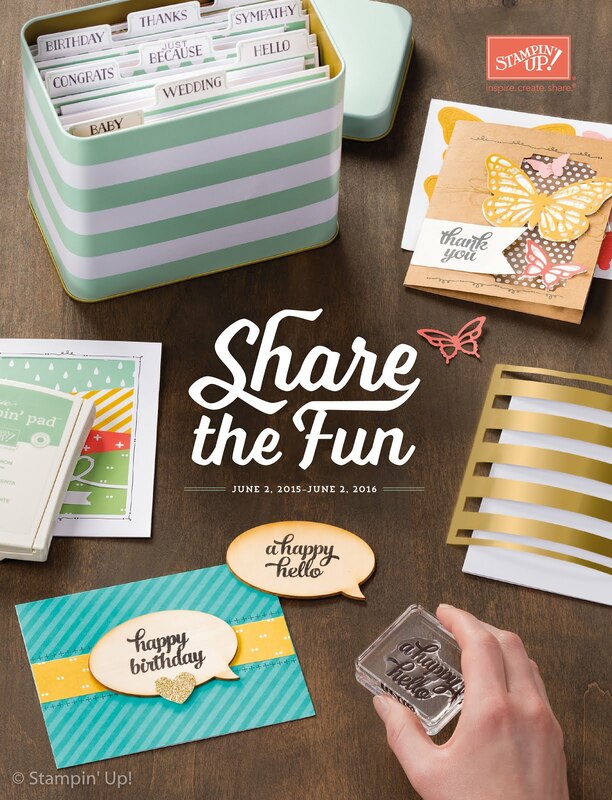 If you like colouring your stamps using Stampin' Write markers, Copics or Promarkers, this card is fantastic it is by far and away the best white surface to stamp on available on the market and was one of the ways I got into Stampin' Up products. Check back tomorrow for some Itty Bitty delights. What a stunning butterfly - dazzling in fact!! 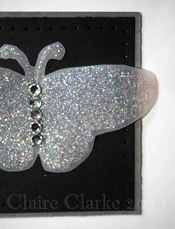 butterflies and glitter, perfect combo in my book, stunning!! Lovely card Claire! Your twinkle looks super. Thanks so much for joining in our challenge this time. 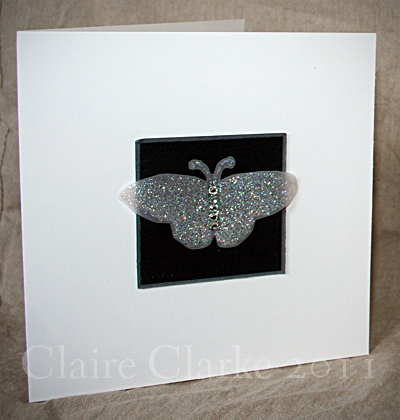 Such a beautiful butterfly...and a fab card!